The Department of Special Education Services provides services to students with disabilities. Special Education programs are located in all schools within the East Orange School District. The programs provide services for eligible students ages 3–21 years old. We offer the following special education programs district wide: Self-Contained Learning Disabilities, Self-Contained Autism, Self-Contained Multiple Disabilities, Self-Contained Behavioral Disabilities, Self-Contained Cognitive Impaired (mild/moderate), Self-Contained Preschool Disabilities, and Inclusion. The Department of Special Education Services also provides related/supportive services to special needs students as noted in their Individualized Education Programs (IEP's). The services include educational evaluations, health services, speech services, counseling, occupational therapy, and physical therapy. Our mission is to work collaboratively with families, staff, and the community to provide quality special education and related services in the lease restrictive environment. We will strive to build an advocacy system to reduce barriers, support school success, and promote independence for students with social, communication, emotional, medical, and academic disabilities. We envision our students learning and working together in an inclusive society where individual differences are valued and quality of life is enriched by positive interactions at home, school and in the community. We understand and embrace the importance of delivering a broad spectrum of transition and related services to support and strengthen the achievement of our students. If you are concerned about your infant or toddler's development, please contact an early intervention service coordinator. You may contact the early intervention service coordinator in Essex County at (973) 395.8836. When you call, a service coordinator will listen to your concerns and will describe services and other resources that may be available to you and your family. The early intervention service coordinator may arrange for your child to have a developmental evaluation at no cost to you. The evaluation will determine if your child is eligible for early intervention services, which can help to meet a child’s developmental needs. If you have concerns about your preschool child or student's development, you can call your public school or the County Supervisor of Child Study Teams to find out the appropriate person in your district to contact. You can reach the Essex County Child Study Team Supervisor at (973) 621.1678. 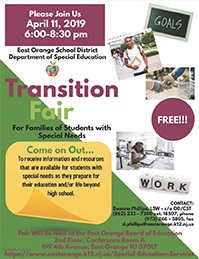 The county supervisor will refer you to your district's special education department, where they will assist you with any questions you may have. If you would like an evaluation to determine eligibility for special education and related services, submit a written request to the Director of Special Education Services. Include your child’s name, age, current school, suspected or known disability, your home address, and a contact phone number. After receiving your written request, the Child Study Team has twenty days to meet with you. At that time, you (the parent(s)/guardian) and the Child Study Team will determine what evaluations should be conducted. 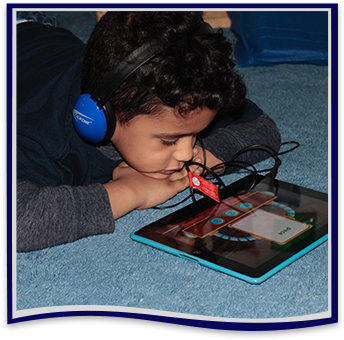 To the maximum extent appropriate, preschoolers and students with disabilities will receive their education with their non-disabled peers. For preschool children ages three-five years old, we offer a head start program. If you feel that this is something that would benefit your child, please view our preschool flyer for more details. Students who are new or returning to the East Orange School District with an IEP (Individualized Educational Program) may enroll throughout the year upon establishing legal residence in the City of East Orange. The student's parent/guardian must call for an appointment prior to registration. At the time of registration, the student must be present and the parent/guardian must have the necessary documentation. Current IEP, educational, psychological, etc.